Transients are generated when high power load switches. To clip the inrush currents NON HEAT SSR is used. 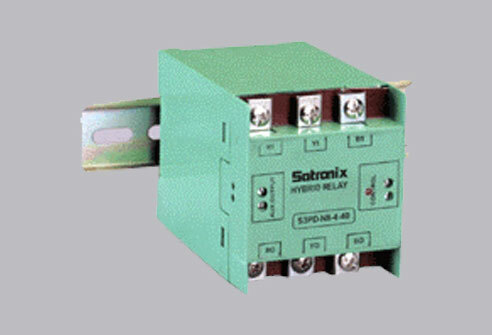 It is also called hybrid relay. A hybrid SSR is built using advantages of electromechanical relay and Solid state relay while avoiding their limitations. When control voltage is applied the SSR switches at zero cross over and switches off likewise. There is virtually no contact arcing hence no wear and tear issues. Mechanical contact carries load current hence power dissipation is low. After a minimum delay of 30 ms the load will be switched off. The power outputs will be off max100ms after the input control voltage has been removed.